Le Castellet, France: A delighted Lewis Hamilton intends to stay grounded as he heads towards the second part of Formula One’s first ‘triple header’ in Austria next weekend following his comprehensive win in Sunday’s French Grand Prix. The triumphant defending four-time world champion regained the lead of the drivers’ world championship by 14 points ahead of Sebastian Vettel with his victory and credited his Mercedes team’s hard work for their success. “When you are constructive, but also criticise yourself, and take a step back, and then approach it all with new methods and a new determination, and you come up with a result, it is definitely a great feeling,” he explained after the 65th win of his career. He took full advantage of another erratic weekend from fellow four-time champion German Vettel, who crashed into Hamilton’s Mercedes teammate Finn Sebastian Vettel on lap one and, after pitting and recovering, was penalised and finished fifth. 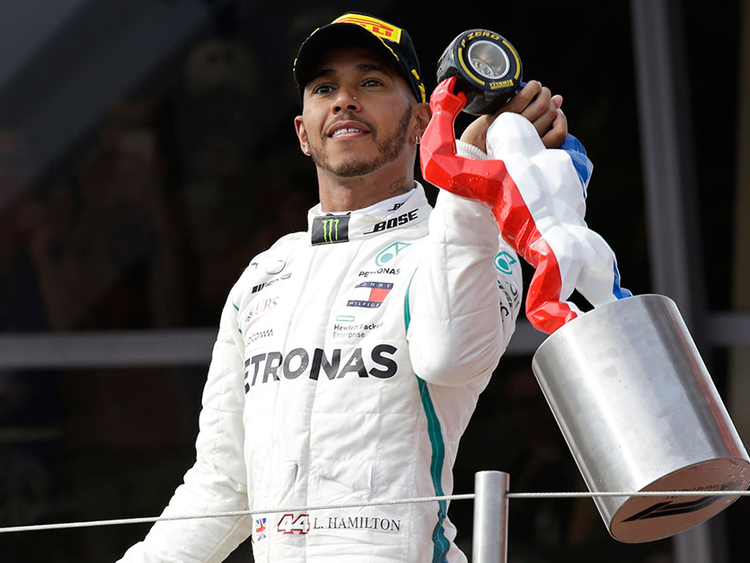 Having had several similar ‘moments’ in the last year, notably in Baku (twice), Singapore, where he crashed on the opening lap, and Mexico, this was another error that contrasted with Hamilton’s overall consistency as he reeled off his record 33rd consecutive finish in the points. Vettel’s discomfort was enjoyed by Dutchman Max Verstappen, who came home second for Red Bull ahead of Finn Kimi Raikkonen in the second Ferrari. After much criticism of his own series of incidents this season, including barbed remarks by Vettel, he enjoyed a chance to get his own back.